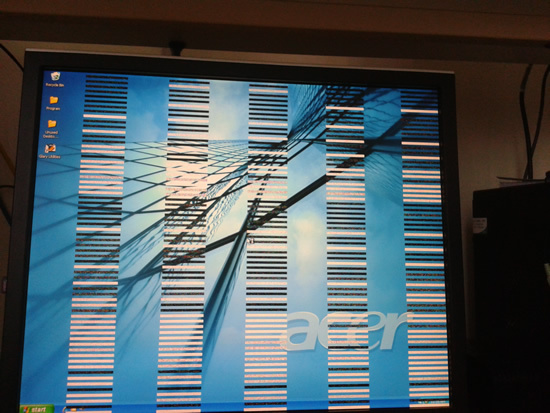 The Desktop now acts up regularly every day especially the first turn on in the morning. I contacted Acer a couple of days ago. They now have the evidence including the hard to get one (see pic on the left). I hope this can be successfully resolved before the warranty expires, making this PC three years old. Rare that I have a PC lasting so long. I over work it every day. Well, I had an Acer laptop that lasted seven years but I only think it was good for so long, but very slow because I hardly used it. I traded it in for a Notebook last year, fearing that this Desktop was going to give up on me.